To nurture is to cultivate. 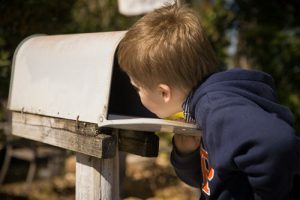 In the online marketing world, email nurture sequences are designed to cultivate a relationship with your new prospect. The first rule of building a relationship online, is to know when and how to ask your new prospect to buy something. I want to be really clear about this, I am not saying we can’t make them an offer. We absolutely can! When done correctly, this process can actually occur quickly. I love this quote and it is right on the money when it comes to email nurture sequences. When Benjamin Franklin said “Lost time is never found again”, I doubt that he had sequences in mind; but today it is totally appropriate. We want these sequences to begin immediately. People have a very short memory these days and it is our responsibility to provide them with an opportunity to get to know us better. I am often asked how long these sequences should last, and for many years I said a nurture sequence should run from 15 to 21 days; however, I now have a different opinion. We analyzed the emails we were using in our sequence and realized that after about the first 7 days the open rate drastically dropped. So now we utilize a much shorter sequence. First, I must say that every business has a unique audience, and that means you will need to test this process to see what is the perfect amount of emails and the perfect length for your sequence. At Decisive Minds we are using a 5 day sequence which starts the moment someone opts in for anything. These are daily emails. Maybe I should have started with this, because I can tell you that if your subject lines aren’t interesting and intriguing, this nurture sequence will not work. How do you learn to write interesting and intriguing subject lines? Pay attention to the subject lines that make you want to open emails. You can create a swipe file of these emails to use for ideas when you are writing your emails. I number the emails in the sequence in the subject line. For example, “Chapter 2 of 5, How Oprah and Lebron James Changed Everything”. The reason I number these emails in the subject line, is to create the desire in the reader to know the whole story. For that to work, first of all you must be telling a story and second you must write an amazing second email. The second email should have great content and still leave the reader wondering what is going to happen next. In the final email, they should feel like they know the whole story and are now connected to you and/or your business. In email #3, you can tell them that in tomorrow’s email you will be sharing something super special with them. I prefer that this product be priced under $97 and it’s even better if it is under $20. This should be a special price and offered to them as a one-time offer. Whatever you are offering should have something to do with your story that you are telling. Need help creating your sequence? Yes! I need help with my nurture sequence (virtual training)!